What did the zombie with the lesbian girlfriend say to the human with the hot girlfriend? 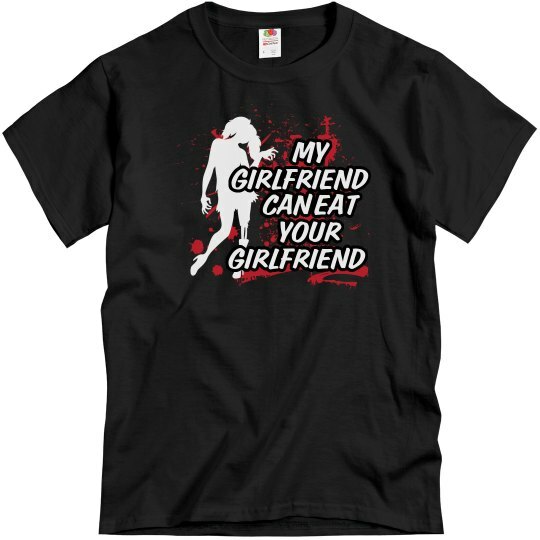 My girlfriend can eat your girlfriend. I wouldn't mind having a video camera handy for that.